DCAL is the ORIGINATOR of individual unit power ventilated lockers. There are many imitators, but no one has been able to duplicate the effectiveness of our SMART AIR Locker System for drying athletic gear like football pads and athletic uniforms. Our SMART AIR lockers are more than just air ventilation. They provide air circulation. With our revamped exclusive air circulation system, all of your wood athletic lockers get the same amount of air flow and drying power. Dry your equipment and clothes much faster than normal hang dry by adding our SMART AIR LOCKER SYSTEM. On a timer, this unique fan-system generates a strong flow of air throughout the entire wood athletic locker from top to bottom drying clothes and equipment while at the same time controlling locker room odors and the spread of harmful bacteria. Why settle for ventilation systems that simply don't work? With the SMART AIR Locker System, you are guaranteed drying power unmatched by anyone other wood athletic locker provider. Save money, and preserve your equipment with the best power ventilation locker system on the market! EVERY DCAL wood athletic locker can be converted into a SMART AIR LOCKER. 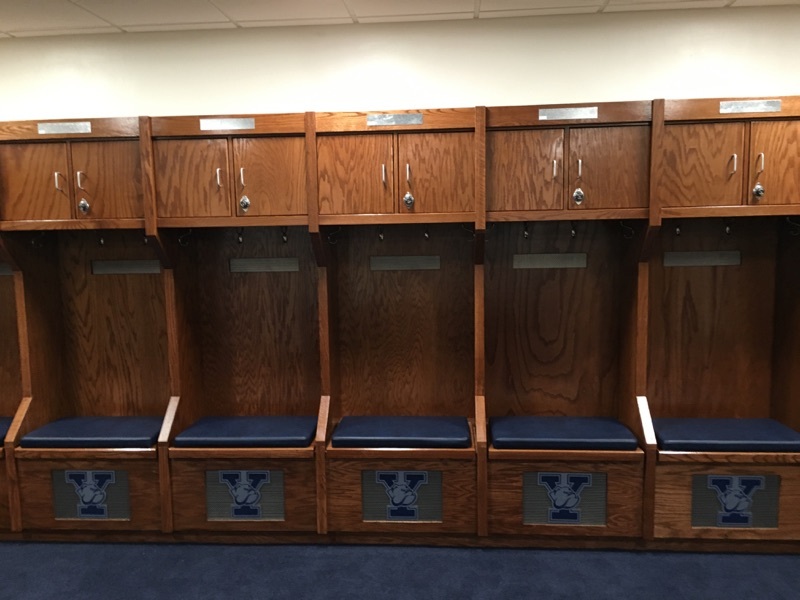 This allows you to purchase a basic wood athletic locker, and upgrade at any time in the future if you choose.